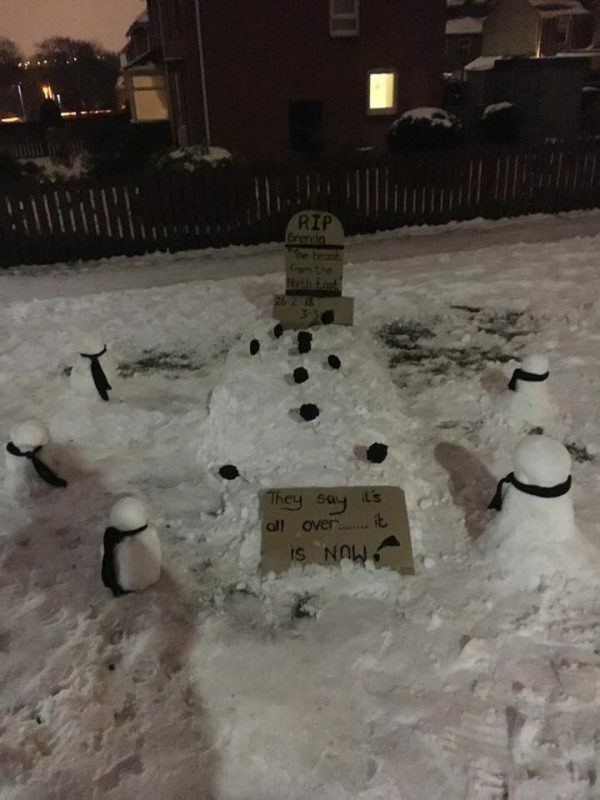 After a snowman was destroyed in Newcastle upon Tyne, in northern England, some of the community staged a retaliation of sorts, building an army of snowmen demanding justice for their fallen fellow. 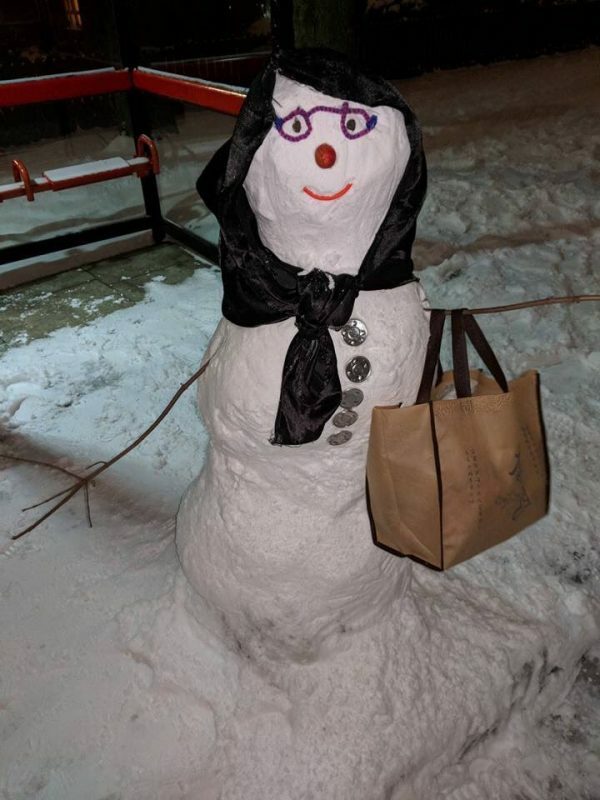 Thomas Walker, 21, shared photos on Twitter on March 2 of the snowman army, writing, “Someone knocked the snowman down in me street and now there’s these signs up and a little army of snowmen.” He also added a photo of the “murdered” snowman—who was actually a snowwoman, called Brenda. 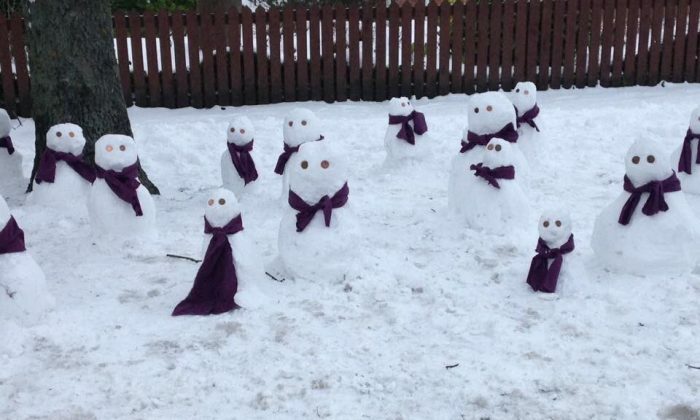 The army was built overnight by a group of teenagers, The Daily Mail reported. “I’m not entirely sure why they did it. 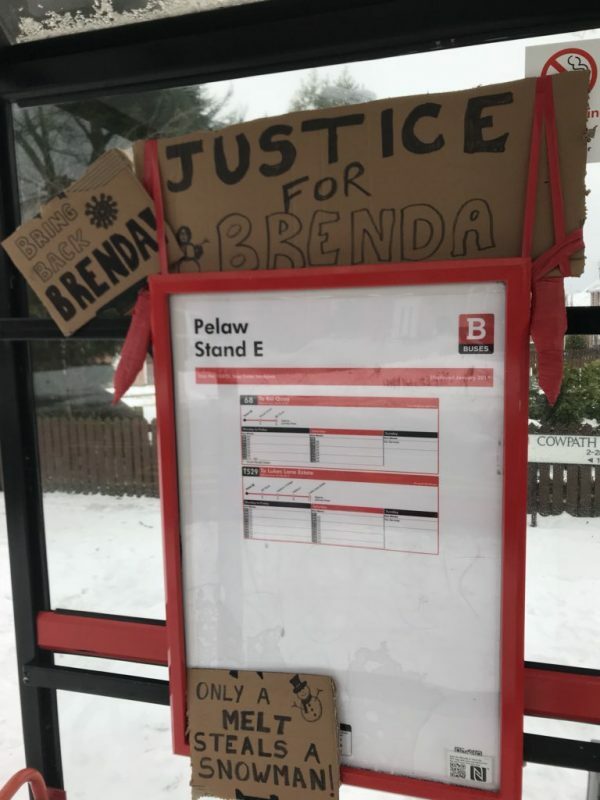 I think ‘Brenda’ was first built to look like a woman had frozen to death because of the lack of buses,” Walker said. 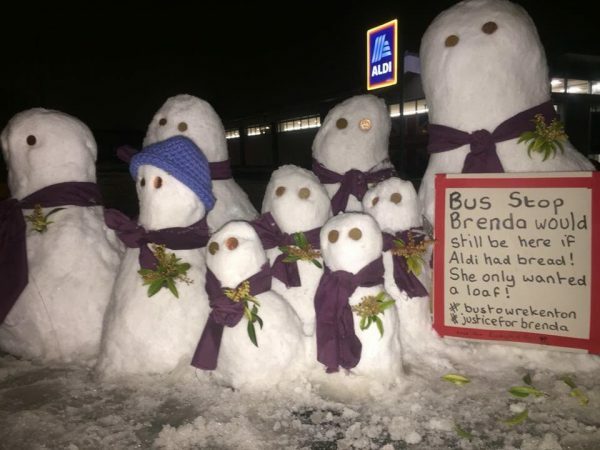 Somebody also built a grave for Brenda. 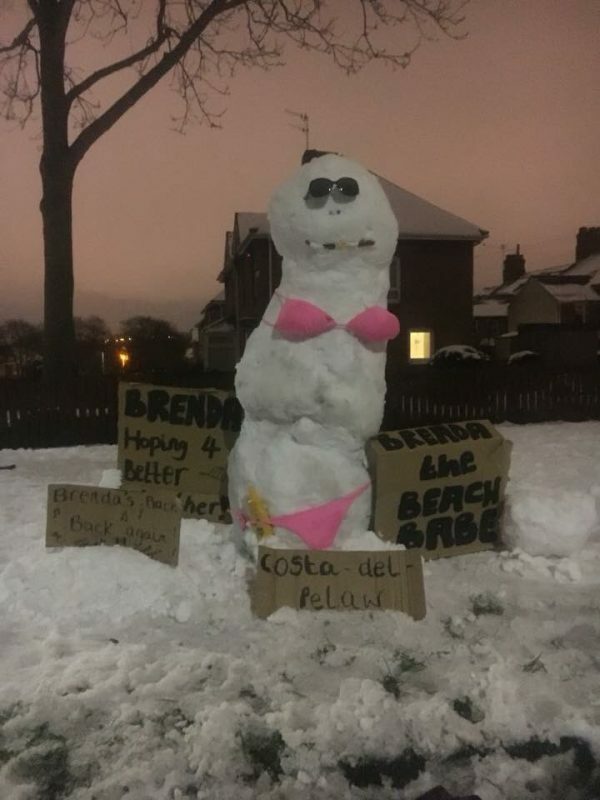 A new version of Brenda was built too, sporting a pair of shades and a swimsuit. Walker’s Twitter post was retweeted over 6,700 times and liked almost 26,000 times at the time of this publication.